A root canal procedure can help to prevent the loss of a severely damaged tooth. 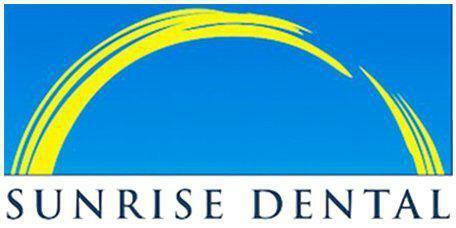 A top provider of root canal therapy located in Everett, Washington, Dr. Gary Chin and the team at Sunrise Dental of Everett use the most advanced techniques to perform root canals for their patients. Sometimes, decay or damage occurs inside of a tooth, which affects the channels, also called canals, that contain the blood vessels, nerves, and other connective tissues that support the health of the tooth. This part of the tooth is called the pulp, and when it becomes infected, special techniques must be used to remove the damaged portion to preserve the integrity of the teeth. The root canal process is very similar to the procedure for a regular dental filling. Dr. Chin uses special instruments to remove the diseased pulp, then cleans and seals the area. Once the decay has been removed from the inside of the tooth, Dr. Chin attaches a crown over the tooth to provide stability and to protect the tooth from additional damage. The dentist will administer a local anesthetic to numb the area before beginning the root canal. Afterward, you may experience some tenderness, which can be treated with over-the-counter pain medication. The symptoms of a root canal are more or less the same as the symptoms associated with other types of decay, including toothaches, swollen gums, and increased sensitivity to hot and cold temperatures. The only way to know if you need a root canal is to attend an appointment with Dr. Chin and have an exam with X-rays to evaluate the inside of your teeth. Should I Have a Root Canal or an Extraction? In most cases, it is better to have a root canal to save a natural tooth than to have it removed because your bite mechanics depend on the presence of all the teeth. A missing tooth can disrupt the normal balance of the bite and cause jaw pain, headaches, and other issues, and it can also lead to additional tooth loss. Plus, preserving the natural tooth is usually less expensive than pulling a tooth and replacing it with a denture, bridge, or implant.